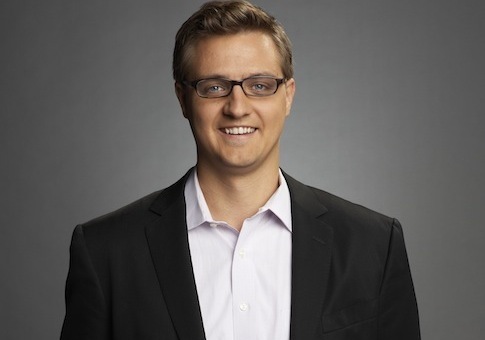 The April debut of All In with Chris Hayes on MSNBC was a dud, down 18 percent in total viewers compared to last year's program in the 8 p.m. slot, The Ed Show. Anderson Cooper 360 (8p) was the top-rated show on CNN in both total viewers and in the key demo 25-54 during April. For the month, AC 360 averaged 431k among 25-54, increasing +197% from a year ago (145k) and 1.158m among total viewers, up +129% (506k). MSNBC’s All In with Chris Hayes was down -18% in total viewers vs. last year’s The Ed Show (718k vs. 880k) and ranked 3rd in April. The show placed 4th in the key demo 25-54. Piers Morgan Live grew +119% among the key demo 25-54 (354k vs. 162k) and increased +71% among total viewers (977k vs. 572k) this month compared to a year ago. PML ranked second in April at 9p – with MSNBC’s Rachel Maddow placing third in both total viewers and demo. Maddow actually declined -7% among total viewers (931k vs. 1.0m) for the month versus year-ago. Asked about the competition, Hayes said 99 percent of what he thinks about "is making awesome television that is genuinely informative and fun and compelling and enjoyable for me to do." "But I'm competitive," he added. "You don't get to do the job without a competitive instinct. I want to win. We all do."